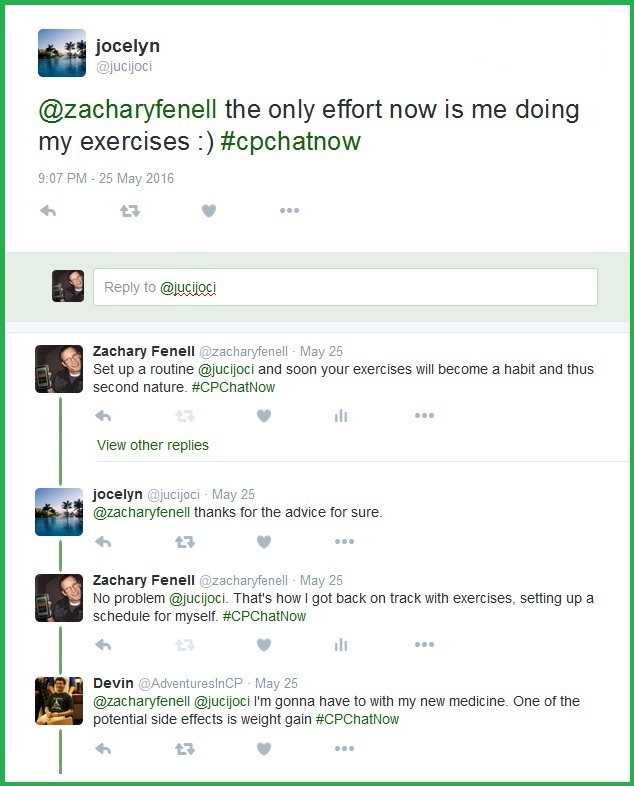 On Wednesday, May 25th, 2016 our live cerebral palsy Twitter chat discussed many subjects. Hello again! 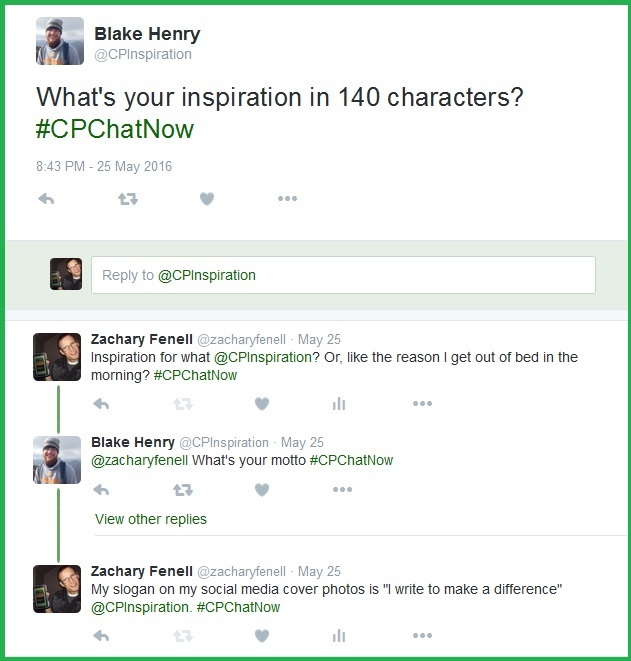 I, #CPChatNow co-founder and co-host Zachary Fenell, am back with you. Hopefully you enjoyed the past two recaps, put together by my co-host Blake Henry. 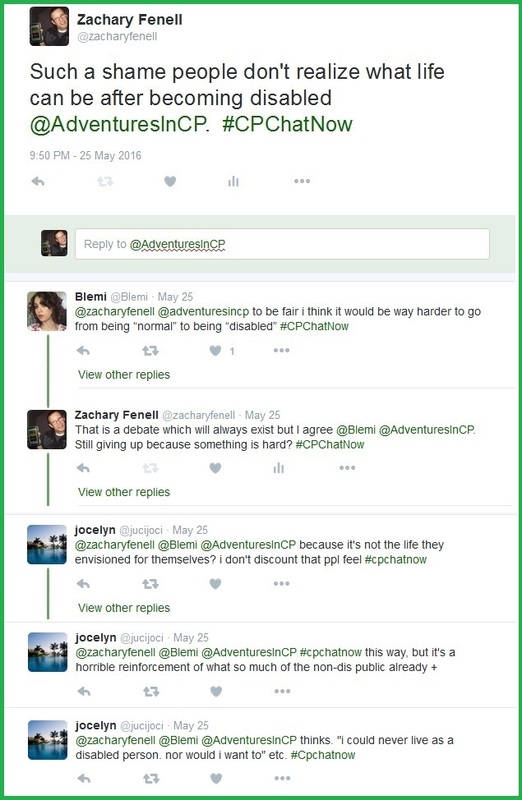 Those recaps prove the start to empowering our community to use this website to share their voices. More about that soon enough though! In the meantime I possess a lot to recap from our most recent chat. Blake sparked conversation early, asking about inspiration. Regular recap readers, yes! You will notice another new Twitter handle in the above screen grab. 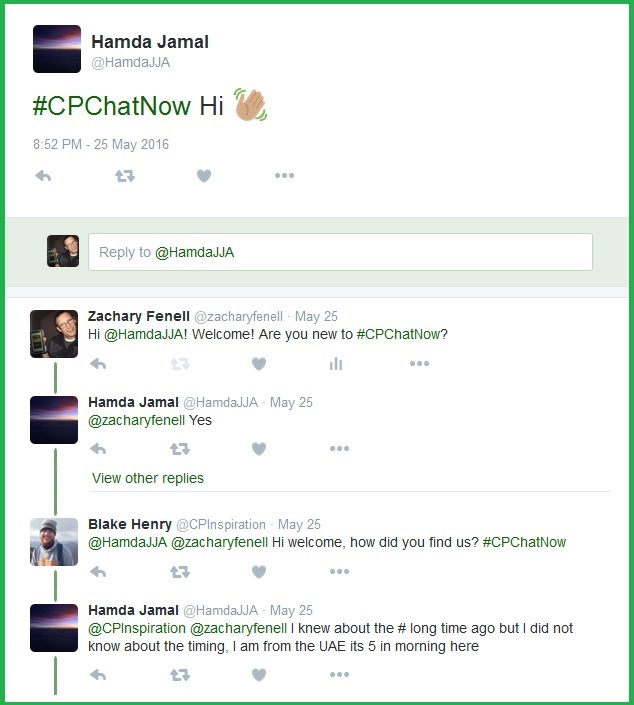 Hamda later specified he lives in Dubai. His presence allowed us to learn about disability perceptions there. Moving forward, an additional loaded topic emerged thanks to chatter about botox treatment. 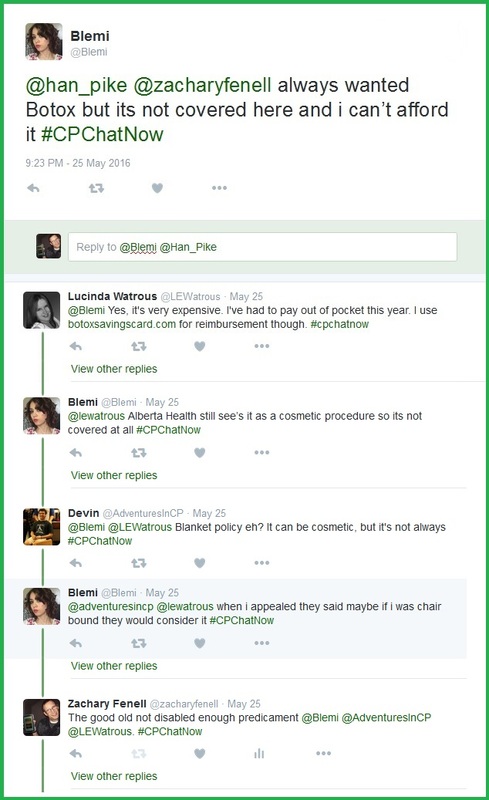 Lucinda’s recommendation to checkout Botox Savings Card exemplifies our community’s helpful nature. 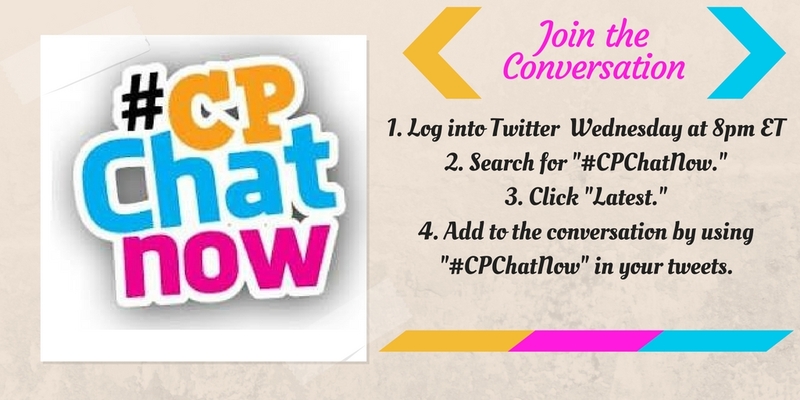 Join in the Twitter chat fun one week and see what beneficial advice you receive. I sought to contribute to the good advice too when the conversation transitioned to exercise. 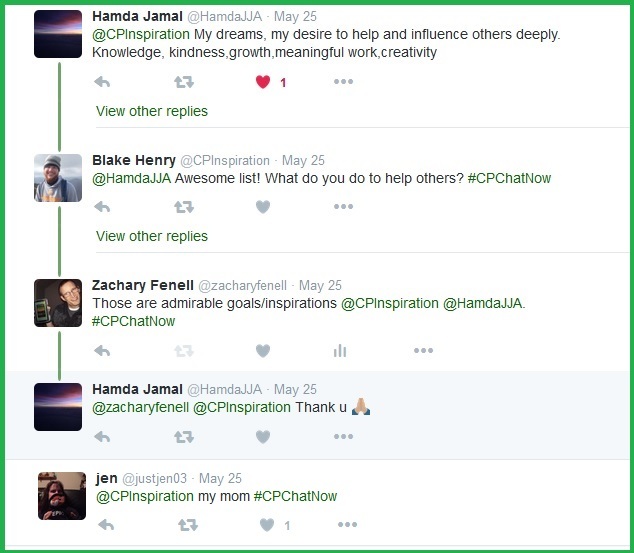 Overall last week’s Twitter chat conversation covered a lot. 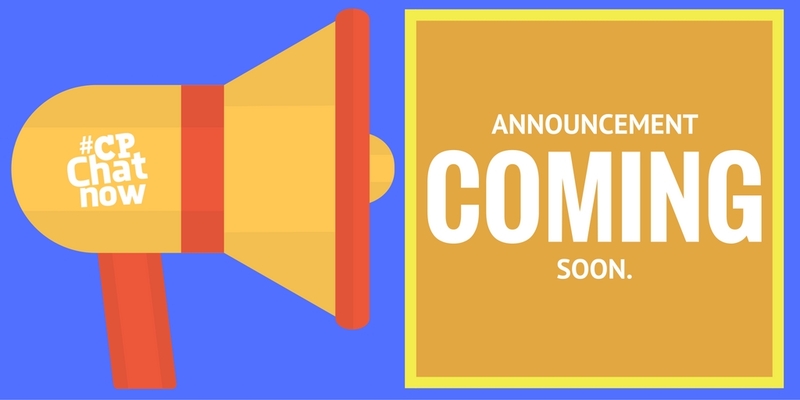 From helpful advice to disability perceptions to disability in Dubai and more! I excitedly await to see how the dialogue for tonight’s chat progresses. Assist me in passing the time until 8:00pm ET by keeping last week’s conversation going. 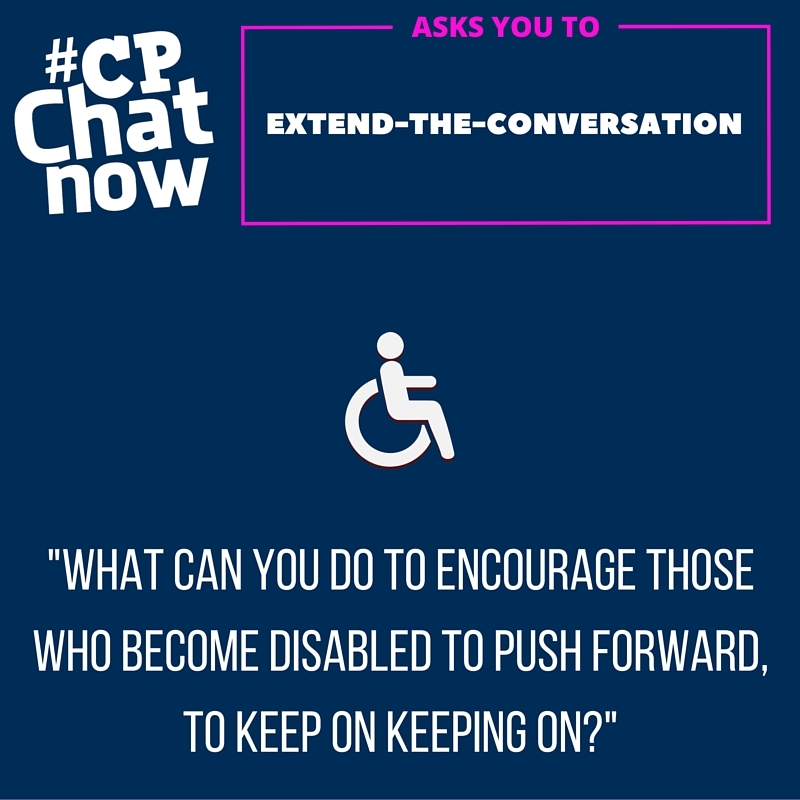 Answer the extend-the-conversation question. Thank you for reading. Tweet you soon! 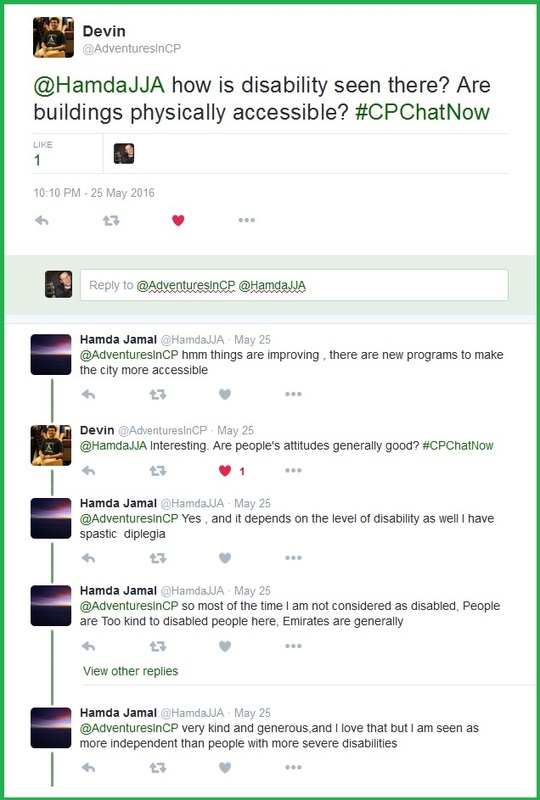 This entry was posted in Weekly Recaps and tagged disability in dubai, disability perceptions. Bookmark the permalink.